There is fun for everyone at Disney’s Festival of the Arts in Epcot! From January 18th to February 25th, guests can enjoy a wonderful trifecta of visual, culinary, and performing arts. 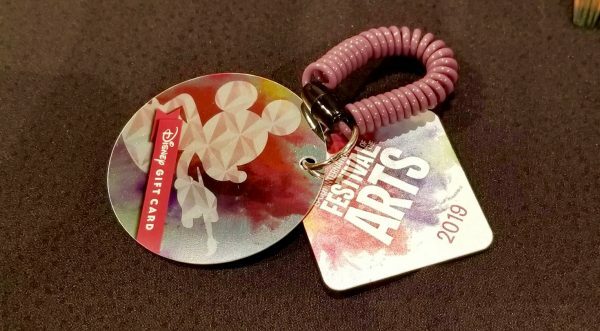 The Festival of the Arts is most definitely fun for adults – but Disney is also offering a great kid-centric activity too. Figment’s Brush with the Masters Scavenger Hunt is a fun way to learn about art and travel around all 11 countries in the World Showcase. To get started, guests can purchase the map and stickers at Pin Central, Disney Traders, or World Traveler for $6.99 (AP/DVC discounts apply). Then, guests are invited to search for Figment hiding inside various famous works of art at each World Showcase Pavilion – all they have to do is look for the Figment-themed frame! Once Figment is found, place the corresponding sticker to the pavilion on the map. When the journey is complete and all 11 Figment art pieces are found, return the map to Disney Traders for a fun coloring book surprise! Discover fun activities like Figment’s Brush with the Masters scavenger hunt during the Festival of the Arts beginning this weekend! Pingback: 2019 Eggstravaganza Scavenger Hunt is Underway at Epcot.